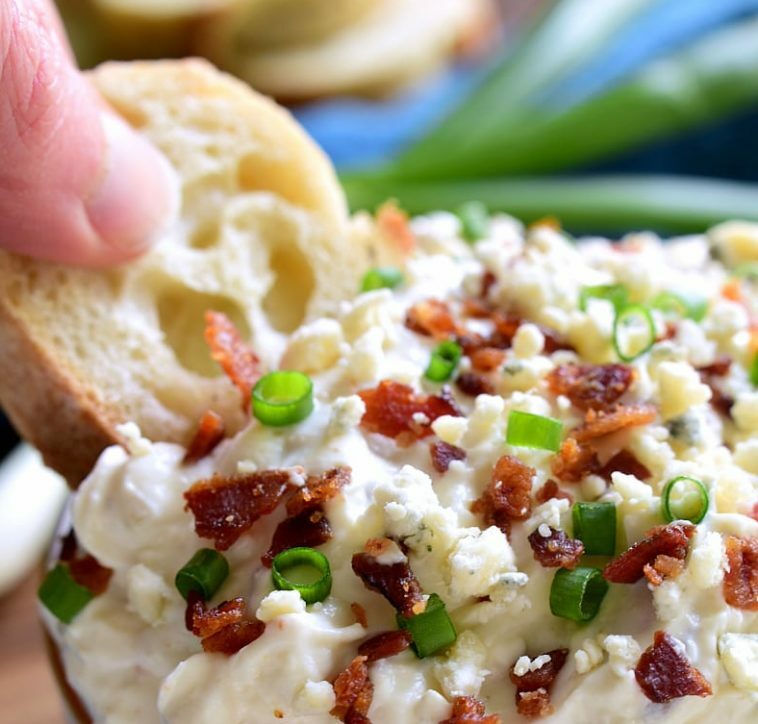 In a small mixing bowl, combine cream cheese, sour cream, blue cheese, and ranch dressing. Stir in bacon and sliced onions. Serve with crackers, bread, or veggies.